This was a birthday card for my grandmother. 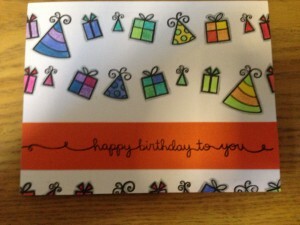 I tried to use as many birthday images as I could for this card. Extra Details: I stamped all the images using a ruler as a guide. 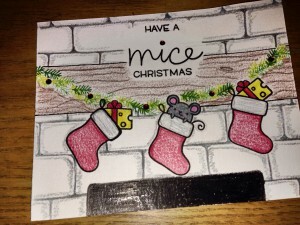 I colored all the images with Crayola markers and added some grey to the outside to make the images pop. 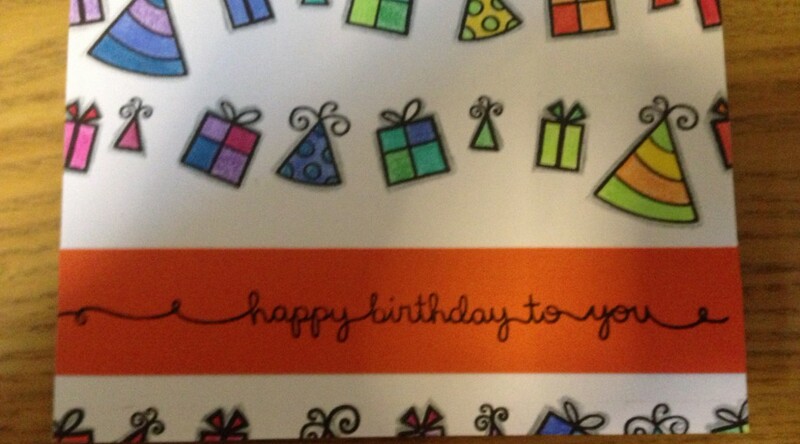 I stamped the sentiment on an orange strip of paper because I messed up the stamping on the card base.